CMA CGM aims to increase its market share in Indonesia to 20 percent by year-end from the current 13 percent, reported The Jakarta Post. The company's senior vice president in Asia, Jean-Yves Duval said that with aggressive marketing, as well as longer and more efficient routes, we believe we can have 20 percent of the market by end of 2017. Recently, the Transportation Minister Budi Karya Sumadi and PT Pelabuhan Indonesia II President Director Elvyn G Masassya welcomed the arrival of the largest container ship CMA CGM Otello which berthed at Jakarta International Container Terminal. 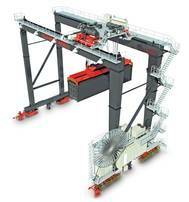 Konecranes iforms it has received a repeat order for an automated RTG (ARTG) system from PT Pelabuhan Indonesia III (Pelindo III) in Indonesia. The system includes nine automated RTG cranes. It will be delivered to Terminal Petikemas Semarang (TPKS), an operational terminal in Central Java, at the end of 2016. The order is part of the second-quarter order intake. 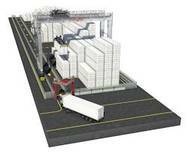 “Konecranes delivered the cranes and the complete automation system to Indonesia’s first automated terminal, which was recently opened. PT. Pelabuhan Indonesia II (Persero) (“IPC”), Mitsui & Co, Ltd. (“Mitsui”), Nippon Yusen Kabushiki Kaisha (“NYK Line”) and PSA International Pte Ltd (“PSA”) have agreed to jointly participate in the construction and operation of a new container terminal at Tanjung Priok Port, Jakarta, Indonesia. This new terminal will be developed and operated by the newly established project company PT New Priok Container Terminal One (“NPCT1”). The Republic of Indonesia has in recent years experienced dramatic economic growth accompanied by a rapid increase in container traffic.